Eastern Olive Toads (Amietophrynus garmani) sing in hypnotic polyrhythms on a windy night by a waterhole in the savannah. This was the most intense part of a chorus which lasted for about 2 hours from beginning to end. At the beginning there were other frogs calling (Kassina senegalensis) but they seemed to give up once the toads began to dominate. I will post a much longer excerpt from this recording at a later date. 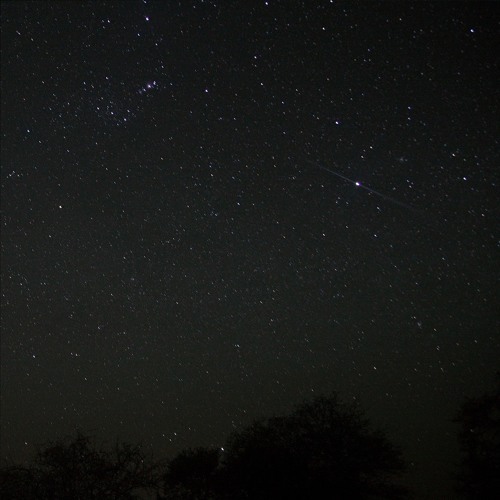 Recorded around 9pm on the 25th of November, 2014, at Mmabolela Reserve, Limpopo, South Africa during the 'Sonic Mmabolela' residency organized by Francisco Lopez & James Webb. Many thanks to all those involved with the residency, and to the people who lent me money which made my involvement possible: Mum, Dad, Oma and Rachael B. @deato: Thanks Charlie! You should go one day! congrats on your trip to South Africa!! !